In these United States, we are accustomed to seeing various historical figures from the early days of our country on our paper currency. From 1997 to 2009, the people of Scotland were used to seeing the picture of a Presbyterian missionary by the name of Mary Slessor on their ten pound bank-note. On one side of the bill, Mary Slessor was seen holding a child and literally surrounded by other children from that nation of Nigeria. On the other side of the legal tender, there was a map of her mission station in what is now eastern Nigeria. It is still legal tender in Scotland, even though her picture on the ten pound note has been replaced by someone else. 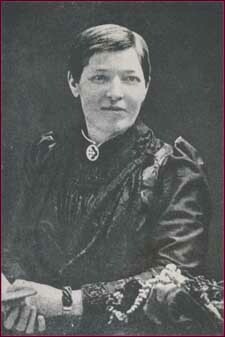 Mary Slessor was born into a family of seven children in 1848. Her father, who was an alcoholic, passed away, which left her mother struggling to support the large family. To help out, Mary, at age eleven, worked in the local mill. She is described by Dr. David Calhoun, professor emeritus of Covenant Theological Seminary, as “a tough, street smart girl, with striking blue eyes, red hair, and a flaming temper.” At age fifteen, with just a few short hours of sixty hours a week as a “mill-lassie,” she also taught a Sunday School class in her local Presbyterian church, supported a youth group composed of tough local kids, and became “an angel of mercy in miserable homes” in Dundee, Scotland. As a result of the influence of her mother, who made available to the family the stories of missionary exploits from the Missionary Record magazine of the United Presbyterian Church, Mary received a call from the Lord to be a missionary in Calabar, Nigeria. Sailing on August 5, 1876 on the SS Ethiopia, she reached her target area. After centuries of slavery in the area, human life was cheapened, tribes were divided, and the culture, such as it was, perverted. Especially was this so whenever African couples would bring twins into the world. One of the two children was looked upon as a child of the devil, but because no one would identify which one was demoniac, both were killed, or left to die in the jungle. Enter Mary Slessor into this whole scene. She literally rescued hundreds of these castaway children. One could not enter her missionary home without finding a dozen or so children in it. Further, this missionary lady obviously believed the text of 1 Corinthians 9:22 where Paul writes, “I have become all things to all . . . so that I may be all means save some.” And so this Scot lady became African in all things, in eating their food, in dressing in their clothes, and learning their language. She wanted to become an African to win Africans to Christ! Weakened by fever throughout her life and service in the country, she finally succumbed on January 13, 1915. There is a chapter on Mary Slessor in the recent work by William W.J. Knox, Lives of Scottish Women: Women and Scottish Society. (Edinburgh: Edinburgh University Press, 2006). Other works on her life and ministry include Mary Slessor of Calabar: Pioneering Missionary, by W.P. Livingstone (1915); The Expendable Mary Slessor, by James Buchan (1980); and Mary Slessor, by E. Robertson (2001).